The town has four lighted tennis courts at the qplex and behind the Parks Building. The courts are open from May through October. The tennis courts are available for public play from 8 am – 11 pm daily, with the exception of the time slots booked by the Quispamsis Tennis Club. For rental inquiries please call 849-5505 or e-mail parks@quispamsis.ca. The Quispamsis Tennis Club offers free adult beginner tennis lessons. 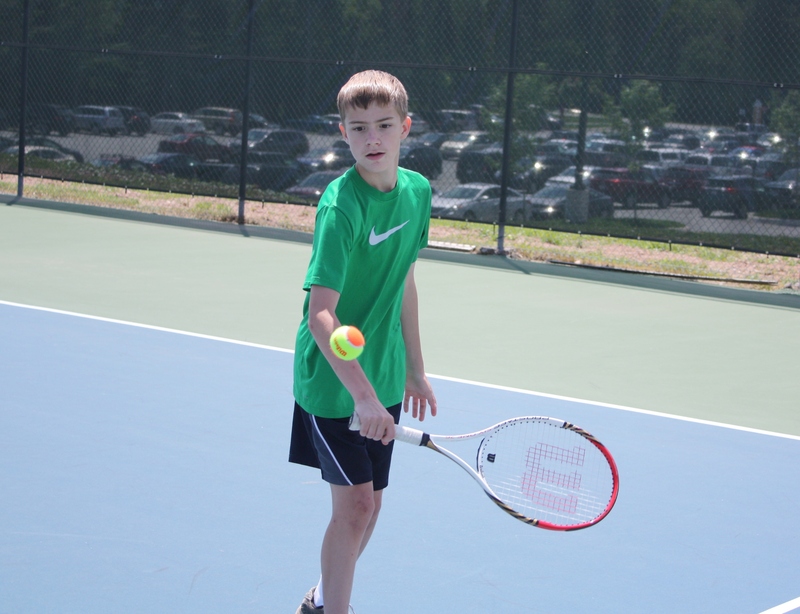 They also offer Adult beginner tennis players a chance to learn how to play tennis using Tennis Canada’s endorsed Progressive Tennis teaching method. The 1 hour lesson is free and takes place every Wednesday at 1:30 pm to 2:30 pm. The club supplies the racquets and the balls we only ask that you try to bring a friend who also wants to learn to play. The bigger the class the more fun you will have! To register for this free program simply email tennis@qcta.net or call 847-5455 and let the Club know your name and when you will start attending. Click the link to see photo gallery. Skateboards are only permitted in the Skateboard Park. Riding skateboards in all other public parks is prohibited. approved or certified by CSA or similar agency for use. No person shall carry a lit cigarette, cigar or pipe in any public park or public beach where signs are posted. The use of archery equipment, firearms, airsoft guns, pellet guns or air guns on any public beach or public park will not be allowed.